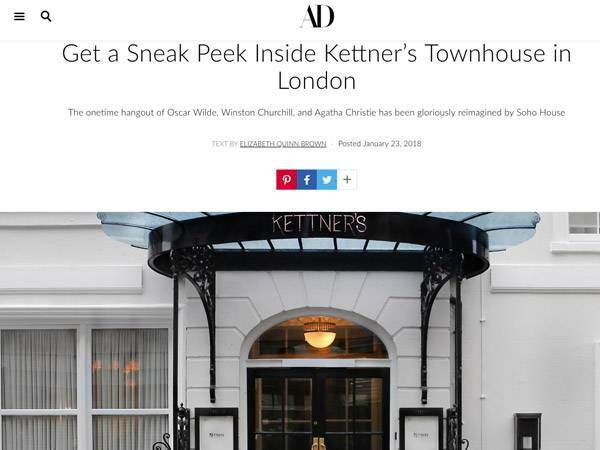 This month, Soho House debuts Kettner’s Townhouse: a handsome, 33-bedroom destination with a chic bar and restaurant. The “club”—a Georgian-style construction in London’s Soho area—has, as an establishment, entertained Agatha Christie, Winston Churchill, Bing Crosby, Margaret Thatcher, and Oscar Wilde. Now, it welcomes Soho House members and non-members alike into its doors at 29 Romilly Street.